When a player advances to a point where their pile of accumulated resources are effectively limitless, then they’ve basically won the economic game, which makes it easy to explore the rest of the game without serious challenges (aka “fun”). This blog post is not about dealing with that end-game state however, it’s about delaying that end-game post-scarcity utopia in a way that is interesting. Building a colony in Clockwork Empires is very much about the challenges faced – and overcome – in the journey from a handful of colonists alone in the wilderness to bustling industrial powerhouse. If we let that journey finish too quickly, then the game experience is poorer for it. If we mess with the player’s journey by throwing random tornadoes at them to blow up all their stuff, that feels unfair and frustrating. The question is, how do we slow accumulation rate or subtract from a player’s resources outside of food requirements and construction costs? … And have players enjoy it. Certain negative random events arise from the simulation itself. Perhaps the Novorusians drop an air-crate onto your gunpowder stockpile – boom! 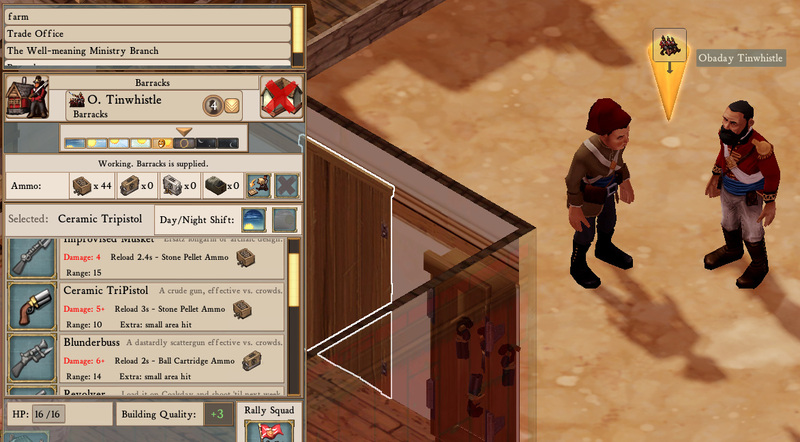 Or a Bandit raid can disrupt the entire industry of a colony for a shift as everyone flees and soldiers respond. These tend to be occasionally catastrophic, very random, and rare (and intentionally rare because as noted the idea that “random tornado destroys your colony” feels very unfair to players). Due to the combination of volatility and generally negative feel, these events simply aren’t suitable for keeping the player using their commodities on a regular basis. We needed something more. Remember this? This was an early attempt at a continual resource sink. After colonists used certain modules X number of times, they’d require repairs using a random material. It handled itself automatically, draining resources via repair jobs. This was mostly ignored because it was insignificant (which players liked because it didn’t cost them meaningful amounts) and it was unnoticed (because the system gave poor feedback). In fact, most people didn’t even realize it was happening. It wasn’t clear what a module might cost in repairs before you built it, what it cost after it required repairs, or how long it’d take before a module required repair. From a player perspective, small numbers of random resources sometimes disappeared but it wasn’t really something to think about. This system did not fulfill the role of acting as resource sink. And it could not be ramped up in cost enough to be a useful resource sink because it did not give enough information to the player to effectively respond. This second attempt was very effective at getting player attention and focusing that attention! -But perhaps more in an Eye of Sauron sort of burning-hatred kind of way. There were a few reasons for this. How it worked: upkeep was like repair, but time-based. And it was centered on buildings rather than individual modules (so that instead of creating “Repair Module” job times the number of modules, it’d create “Perform Upkeep” times the number of buildings; a far smaller number and therefore less overseer-load). You have to pay X widgets over Y time or else the modules in a building would break down and become inoperable. The fires of not-paying-upkeep costs rage within this workplace! Upkeep had to be paid in a series of tiered “upkeep trunks”, special commodities used only for upkeep. These were intermediate commodities because then we could allow the player to use equivalent but totally different resources to produce the same upkeep trunks. This way, upkeep could be paid, for example, in the form of Planks -> Trunks, Stone/Clay -> Trunks, or Glass -> Trunks. Ideally this would allow players to dump whatever basic resource type they had in abundance into the upkeep system, rewarding different types of specialization. The use of intermediate commodities however increased cognitive load, as in: players had to choose to build these and track their numbers and worry about having enough of them before their workshops blew up and became useless. This additional cognitive workload was entirely negative; it felt like additional work simply to stay afloat, rather than you putting your work toward gaining something. There were other problems: The roll-out of the system was also punitively balanced and buggy, making the system both expensive and unreliable. Worse, the system would punish players who built many additional modules, whether they used them or not. And building additional modules works to reduces player micromanagement by allowing additional orders per module to be queued – but upkeep punished the player who did this with additional costs. This turned into a classic Water Finds a Crack design error that rewards a player with a more efficient economy for making their game require more micromanagement. On top of all this, there were all sorts of technical edge cases that had to be addressed: what happens in a building that’s in a lack-of-upkeep inoperative state but the player builds a new module? Does the building require more upkeep to be operative, or the old amount? Does the module start in upkeep-fail state or active? The former feels wrong or unfair but the latter would break the consistency of the system. And so on. So how do you turn a negative into a positive? Well if upkeep is supposed to be paid to keep things running, then not paying upkeep imposes a punishment. What if instead players were rewarded for paying upkeep? So it’s like you charge-up your buildings by paying upkeep rather than having them shut down when you don’t pay. And let’s simplify it because Workshops (kitchen, carpentry, ceramics, metalworks, chemist) already give rewards for paying resources: you put commodities in and get more advanced commodities out – and workshops are so fundamental to the game that losing access to them is incredibly punitive. So forget workshops. What about offices? At the time, the office class of buildings (barracks, naturalist, public house, chapel, laboratory, foreign office, mine) – defined their role by taking in labor and performing a service – the lack of any resource requirement cut them off from the game’s economy. So let’s solve all these problems at once! The gameplay model for an “office” tied to the economy already existed, in fact, in the form of the Public House. This building had already been set up to require being “charged up” with booze supplies to distribute to patrons to make them happy. The model prototyped there simply had to be extended to the rest of the office-class buildings. So we made offices require supplies to operate. Provide the office with supplies, and it does its work. Some offices should work whether you can afford them or not, so we made the positive reward for providing supply a matter of degree of success: supply the Barracks with high-grade ammunition and it’ll let you use your fancy carbines. Fail to do that, and the soldiers will default to weak pistols. In contrast with artificial-feeling intermediary commodities, these office supply commodities feel like they reinforce narrative logic: Of course soldiers need bullets. Of course diplomats need lots of paper to write letters on, of course the barber needs medical supplies to heal injured colonists, and the mine needs trusses to support mineshafts. We rolled this new system out and the reception has been very positive. The concept of “paying a tax” reworked into “spending what you had created” – an immensely positive feeling that ties the entire game together in a much stronger way. A happy little barracks filled with ammunition. That’s how we made them pay. The last build I played was the first one with upkeep introduced, and I HATED it. I might never have gone back to the game if hadn’t spotted this update. Reminds me of how rested experience came about in WoW. If you didn’t visit an Inn you would lose your “baseline” 200% experience, people felt punished. So instead they made 100% the baseline and if you visit an Inn you get boosted to 200%. 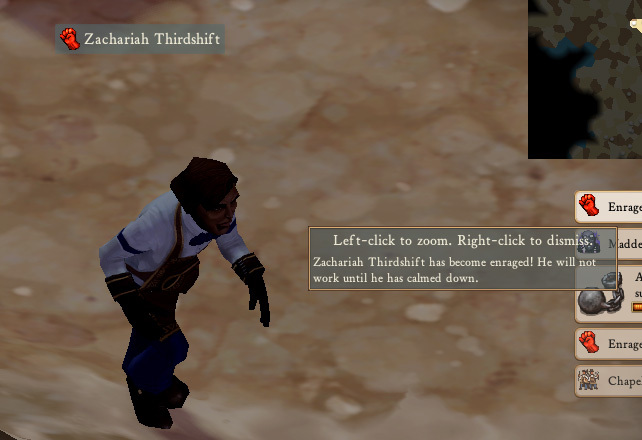 But back to Clockwork Empires, I didn’t mind the trunks but I agree with what you said. I also think that the new ways is infinitely better. I have been playing the experimental and I didn’t even realize the office supplies were a replacement for the trunks. Repealed the tax increase and instituted a stimulus package. Trunks were indeed terrible, i didn’t understand why, what or how. In the same fashion i still do not really understand the concept of bricabrac. It kinda acts as a shadow currency to buy decorum but feels disconected from the rest of game/economy. I will admit, that’s another example of an abstracted intermediary commodity made so that decor can be paid for with many different raw materials. It’s not perfect, but at least it’s a lot more straightforward than the upkeep trunks. Because I’m always on the latest beta build, the only time I’ve seen the upkeep trunk interface was when it appears when you demolish a building. I remember reading an update that introduced them some time ago, but hadn’t realised the upkeep system got mothballed relatively quickly. The new system fits narratively, although some of the more advanced supplies are a little bit fiddly (looking at you, science supplies). Hmm, I do loooove charts. And slopes! Do you like slopes?